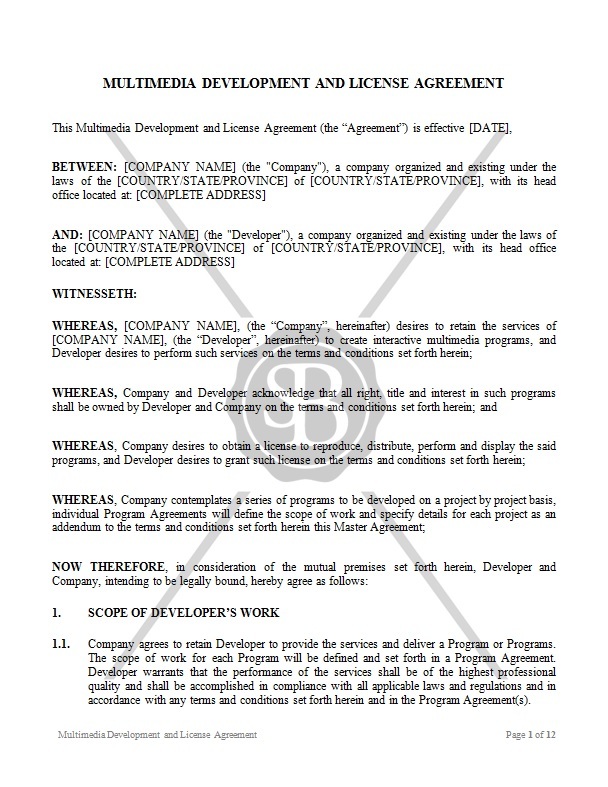 This Agreement is concluded between a Company and a Developer. The Company desires to retain the services of a Developer to create interactive multimedia programs and the Developer agrees to provide such services to the Company. The Developer also grants to the Company a license to reproduce, distribute, perform and display the program under the terms and conditions provided in the agreement.